Barefoot Bob and Bruno live together in a broken down barracks surrounded by the beautiful Aussie bush. Although they don't have much in the bank, they are the best of buddies and life is bonzer. Then one day Bob hits the bonanza and everything changes. Without a backward glance, Bob and Bruno move to the big smoke. But is this fancy new life better than the one they had in the bush? An alliterative, humorous tale which celebrates mate-ship and introduces young readers to the quintessential language of the Australian bush. 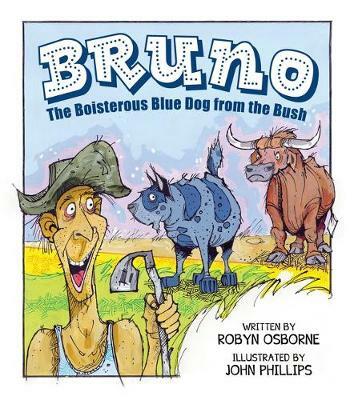 Buy Bruno: The Boisterous Blue Dog from the Bush by Robyn and Phillips, John Osborne from Australia's Online Independent Bookstore, Boomerang Books.